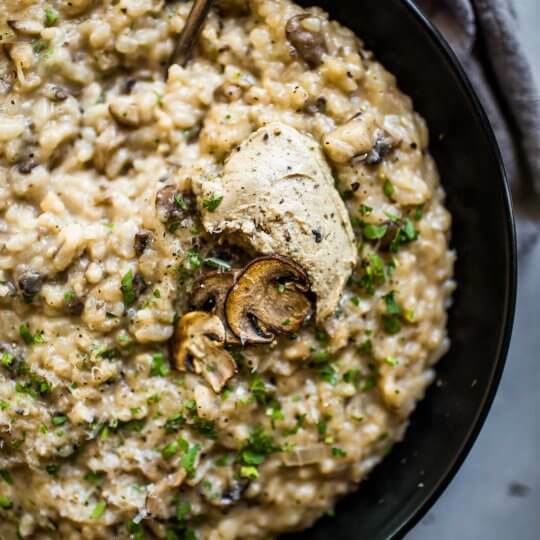 This Mushroom Risotto topped with Truffle Mousse is rich, creamy and totally decadent. 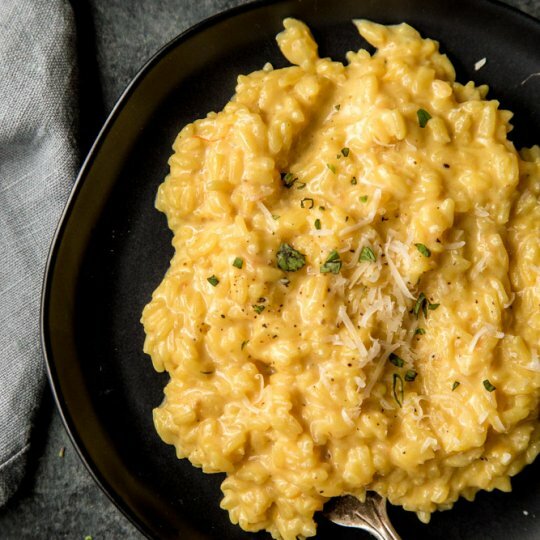 It’s a delicious side dish that pairs well with beef or chicken. 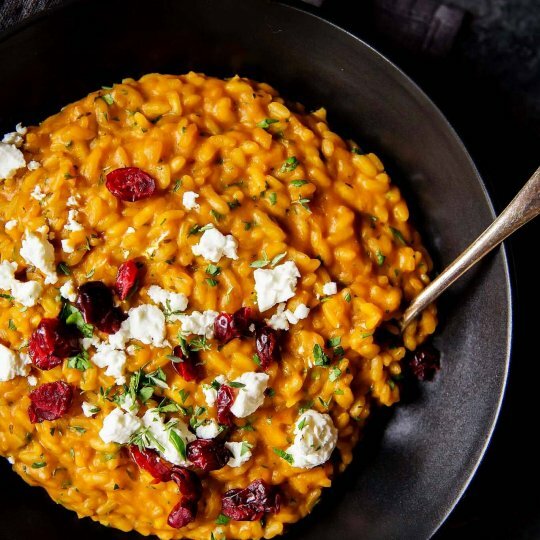 Pumpkin Risotto with Goat Cheese & Dried Cranberries is a perfect fall comfort food – Rich, creamy & perfect for an elegant weeknight meal or a vegetarian Thanksgiving.